The adventure begins here at the turnoff on S2. 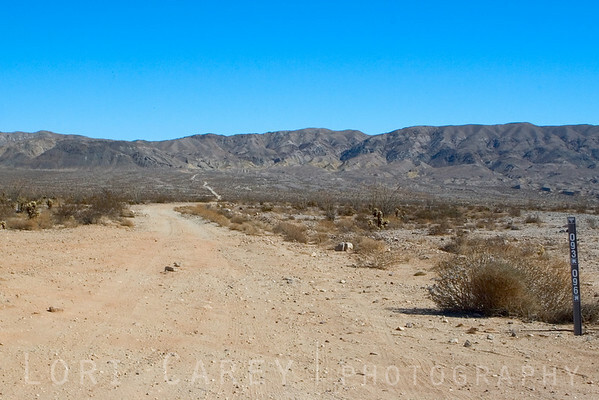 093 is a two mile jeep road to the base of those mountains and the wilderness border. Although the road looks fairly smooth in the beginning, a high-clearance SUV is strongly recommended. The windcaves are on the other side of those mountains, so once at the trail head we'll need to hike up and over.